This week on Feast Yr Ears, host Harry Rosenblum is joined by Jules Opton-Himmel, owner of the Walrus and Carpenter oyster farm. Located in Charlestown, Rhode Island, Walrus and Carpenter sits on a six-acre lease in the pristine waters of Ninigret Pond. Since launching in 2009, it has grown from a small passion project to one of the most recognized brands in the state. The goal from the beginning has been to work with the best chefs and thought leaders within the culinary world, mixing hard science with a commitment to sustainable food. 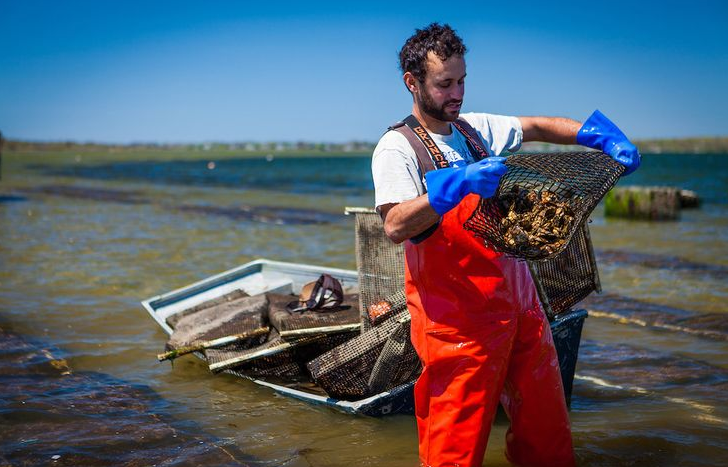 Tune in to hear them discuss farming oysters, how they get to market, and what happens next.